Innovative missions based on the Word, grounded in the love of Christ with a focus on community transformation in Guatemala and beyond. 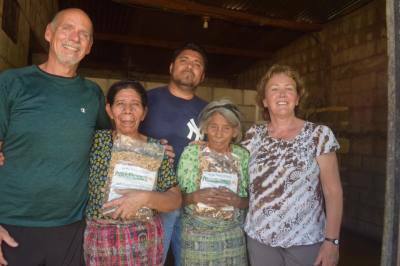 Denis & Eileen Nogue first came to Guatemala in 2012 where they volunteered with another ministry in the highlands of Guatemala, for a few months of the year, hosting teams that came from North America. Over the next few years, they served alongside the nationals that worked with the ministry until 2016 when those nationals took over the jobs that they were doing, as was the ministries plan from the beginning.